Why Is A "Fox News Contributor And NJ Democratic Strategist" Hatikvah's Spokeswoman? Before the suburban charter backlash gained momentum, a handful of suburban charters managed to open their doors. We have seen the kind of dramatic upheaval this has caused in community after community, when parents and residents realize that local tax dollars are diverted to charters that serve only a small fraction of a town's children. More often than not it is the lack of local control over these decisions that really gets everyone's blood boiling. In the case of Hatikvah, we have seen lawsuits back and forth between the district and the charter. The district initially sued claiming that Hatikvah had not met enrollment requirements, and the courts said, "Meh." And then two East Brunswick women (full disclosure, I know both well as we are organizers for Save Our Schools NJ) appealed the East Brunswick Zoning Board's decision to allow Hatikvah to relocate their charter to a warehouse in a light industrial zone. The appeal was successful, and now the Eisenreich Family Foundation, which purchased the warehouse for well over $2 million dollars, is suing not only the Township Council but Cornavaca and Rampolla as well. It seems that the Eisenreich Foundation and Hatikvah have hired a talking head to barrage the local press with press releases. The latest, an attempted smear of Cornavaca and Rampolla, is priceless. Here's the whole thing. It's really just too good to only let you read part of it. 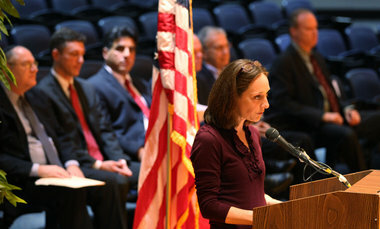 (East Brunswick) – Despite claims by an opponent of the Hatikvah International Academy Charter School that she never engaged in any “anti-charter communications” with members of the East Brunswick Council, emails released under the state’s Open Public Records Act clearly demonstrate that Deborah Cornavaca was repeatedly in contact with Councilman Michael Hughes to express opposition to Hatikvah. Under the law, the council had the responsibility to act as an independent judge and jury in considering the variance granted by the Zoning Board on Hatikvah’s move to its new facility on Lexington Avenue. The emails between Cornavaca, Rampolla, Hughes and Pinkin prove that there was inappropriate and illegal coordination to oppose Hatikvah at every turn. What is so completely insane about this is that the press release actually acknowledges that the emails in question were from last year. Cornavaca and Rampolla were emailing their council members about a resolution regarding Assembly Bill 1877 which would require a local vote on charter schools. It is not a secret that Save Our Schools NJ has been lobbying for this legislation for quite some time. It didn't require Columbo like investigative skills to unearth that Cornavaca and Rampolla were lobbying their Council to approve this resolution. It was clearly printed in the Patch for all to read. Hell, I lobbied the Highland Park Borough Council to pass a similar resolution, which they did. That is my right as a citizen. It is my council's right to tell me to go float. But to call this "illegal collusion" sounds more like code for sour grapes that in fact 73% of NJ residents think charters SHOULD be put to a vote. Nonetheless, somehow the press release jumps from year old emails about a local control resolution to Hatikvah's lead founder Danna Nazaria concluding that "Ms. Cornavaca clearly colluded with East Brunswick council members to deny our school and its students due process." Note to Danna Nazaria, if these are not actually your words, but words put in your mouth by the writer of the press release, it would seem to be wise to proofread them more carefully in the future. This is more than a bit sloppy when the emails contained in the press release are clearly regarding another matter entirely and Hatikvah is not even mentioned. Advocating for local control legislation does not deny your "school and its students due process." That's sensationalistic at best, and an outright lie at worst, and it's simply not what is revealed in those emails. Not even close. So who did write the press release and likely put those words in Nazaria's mouth? 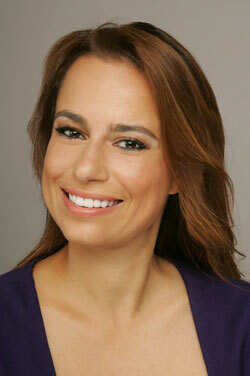 Meet Julie Roginsky. She has been identified in recent articles as a "Hatikvah spokeswoman" but she has a pretty interesting resume. Currently she is more often referred to as a "New Jersey-based Democratic strategist and Fox News contributor." Yup, that's right. Somehow Hatikvah, a small, local charter school which some supporters like to call "homegrown and organic," can afford to hire a nationally recognized political strategist who regularly appears on Fox News, to write press releases smearing local residents. So what's the connection between Roginsky and Hatikvah? Not sure, but my money says it's through the Eisenreich Foundation that purchased the warehouse for Hatikvah. The foundation is headed by wealthy nursing home owner Avery Eisenreich, who is often noted as a significant political donor in New Jersey. His donations go to democratic politicians, many of whom Roginsky has worked for. Stands to reason that this is how Roginsky is linked to this huge mess. But that's just my guess. If anyone involved would care to divulge what the connection is, I'm all ears. It's also worth noting that Avery Eisenreich is a bit of a controversial figure himself. Check out this article that questions how Eisenreich has made his fortune. Note that somewhat ironically this is from the Jewish Labor Committee, the "voice of the labor movement in the Jewish Community." Eisenreich, a significant donor to politicians in New Jersey, is reputed to receive a $10,000 per hour salary from one of his many nursing facilities. According to the State of New Jersey ’s Department of Health and Senior Services, he is listed as an officer of at least 13 facilities in New Jersey. So why am I writing all this and risking these folks setting their sights on me next? This is what the current state charter law inflicts on local communities. It allows people like Eisenreich and Roginsky to insert themselves into a local situation and use their power, money and influence to force an unpopular agenda down the throats of the majority in a community. Can you imagine the likes of Eisenreich and Roginsky rolling into your town and calling the shots, suing and smearing anyone that dares to stand in their way? If not, best be on your guard, because this is the kind of joy the Christie/Cerf education agenda has brought to districts across New Jersey. While suburban districts in New Jersey have had their share of victories stopping the charter onslaught, so far urban district's haven't found their voice. That may be changing, and Paterson may be poised to turn the tide. I have written four posts (here, here, here and here) about the Paterson Collegiate Charter School application which was approved last week. As I was writing the story, I reached out to Paterson board member Dr. Jonathan Hodges, and I was shocked to learn that he was unaware that two applications were pending for his district. Dr. Hodges was interviewed for a Herald News article about the approvals. "We didn't know this was going to happen," Hodges said. "We don't get any kind of public meeting about what is going on in our community." I attended last night's Board of Education meeting in Paterson, and it sure sounded like none of the other board members knew about the application either. But state-appointed Superintendent Dr. Donnie W. Evans must have known, as applications must be submitted to the Office of the Superintendent. But he didn't say much on the topic last night. Actually, he didn't say a word. But the approvals came up more than once at the meeting. It was addressed by Dr. Hodges early on. This charter problem, and I say problem - I used to support charters, and I still support charters - I do not support how the Governor is using charters against urban districts. Then, during public comment, Irene Sterling, President of the Paterson Education Fund spoke to the approvals, and she sounded taken aback by them as well. On February 15th, at quarter to six in the evening, the Department of Education announced two new charters to be approved for opening in Paterson. Now, we have spent the last umpty ump years in this district trying to get away from "sage on a stage," trying to get away from teachers only talking to students, but rather engaging them. And so the notion that we are going to bring what is supposedly a "high-performing" charter in here, which is just going to put our kids back in seats, make them quiet, and give them only things to memorize, is a major concern for us as we think about the work that we have been doing along with you over these years. Ms. Sterling founded the Paterson Education Fund 30 years ago, and is an integral part of the Paterson education community. She would have been a natural person for Ascend founder Steven Wilson or the NJDOE to reach out to if they genuinely wanted community input about this application. While Dr. Hodges and Ms. Sterling were great, I was hoping for more dialogue. More passion to do something about the DOE forcing these approvals on the district without their consent and without their knowledge. It was a long meeting, and nothing. But in the last five minutes Dr. Hodges gave it one last try, and something finally happened. One of the companies that will be given a charter in Paterson, is a former member of (Commissioner) Cerf's firm, right? That to me smells like nepotism. That's part of the ethics of the district. You can't work on this board and have someone involved in administration in this district, so I think the general principal should rule for everyone. Listen, I am against charter schools for the simple reason that it weakens public schools further. It is dismantling public schools. Sooner or later we go back to the days when getting an education for Black and Latino kids is going to be such a problem. Board President Irving then committed to further action on the matter of the charter approvals, and I for one will be perched on the edge of my seat waiting to see how this unfolds. It is high time for an urban district to stand up to the NJDOE's lack of transparency and blatant disregard for local control. While we wait with bated breath to see how the Paterson Board of Education will act, I officially challenge the Christie administration, Commissioner Cerf and his Department of Education to demonstrate exactly how input was solicited. I challenge them to release any and all documentation of how stakeholders in Paterson were made a part of this decision. Because from what I heard at that meeting, NOTHING about this administration's charter agenda in Paterson was shared with the good people of that community. Once again, Laura Waters infuriatingly tells only part of a story. In this case, she was aided and abetted by Asbury Park Press reporter Alesha Williams Boyd, who did a lazy job reporting a story about facilities funding for charters, using Academy Charter High School in Lake Como as a case study. The APP story feels like little more than a New Jersey Charter Schools Association (NJCSA) infomercial. It is chuck full of tales of charter woe from Carlos Perez and even has a video of the lackluster facilities at Academy. “I have a school which has not had the ability to hire guidance counselors,” Perez said. “Some simply cannot afford to hire teachers’ aides. Larger square footage for classrooms…chemistry labs, those sort of things you expect as part of your high school education. “Facility funding is the single biggest challenge in starting or sustaining a charter public school and our state does not provide new or existing charter schools with access to facility funding or underutilized local public school facilities,” Perez said. Waters pulls a passage from the article and highlights the charter's high (for a charter) special needs percentage. Academy Charter director MaryJo McKinley says her school opened 15 years ago in a renovated bar that was built in the 1990s but poorly maintained. She said the school has to spend 16 percent of its per-pupil budget on $30,556-a-month rent and facility issues. The school’s per-pupil costs are about $19,362; at Asbury Park High School, the per-pupil cost in 2010-11 was $29,095, a figure heavily bolstered by state aid. But the passage doesn't stop at just pointing out that Academy has an unusually high IEP percentage for a charter school. It goes much, much further and compares Academy's per pupil funding and graduation rate to Asbury Park High School. The implication seems to be that Academy is getting less money and doing a better job than one of their sending districts for serving a more difficult population. We'll just ignore for now that Academy kids are pulled from more districts than just Asbury Park, and for the sake of argument we'll go along with this comparison. Since Williams Boyd and Waters seemed to be content drawing conclusions from one data point and didn't do their homework, I did it for them. I compared the special needs, LEP and Free/Reduced Lunch numbers between Academy Charter and Asbury Park High, and guess what I found? The Academy Charter IEP percentage may be 18.6%, but not surprisingly, it's higher in Asbury Park; 5% higher to be precise. Isn't it curious that the article only pulls out the special needs percentage and the graduation rate and not the percentage of LEP or Free/Reduced Lunch students? If a person were so inclined, they may think that the NJCSA and Carlo Perez were purposefully selling a false narrative to the press to make it look like Academy is getting better results with a more disadvantaged population. Academy may have a higher graduation rate compared to Asbury Park HS, but they are not serving the same population. Academy reports no Limited English Proficient students, and 18% less children in poverty. And note how many more of the Asbury Park kids are in deep poverty; a staggering 26% more qualify for Free Lunch. 96% of the kids in poverty in Asbury Park are in deep poverty. You can't just pull out the IEP number as Waters and Boyd (and Perez?) have done and bandy it about as if it has meaning or tells a story. It just doesn't. Of course that didn't stop them from using a solitary number to imply that there are charters that get better results and don't cream skim! A closer look reveals that like most (see Laura, I said most not all) charters Academy Charter does in fact cream skim. And the point of the article is that Academy is getting less per-pupil and therefore has to endure less than adequate facilities. The question then becomes, should Academy Charter school get the same per pupil funding when they don't serve the same disadvantaged population? Paterson Collegiate Charter School Approved. What Now? Yesterday Education Commissioner Cerf approved two new charters for New Jersey. Both will be located in Paterson, where as Jersey Jazzman has reported, some serious reformyness seems to be underway. One of the applications approved, Paterson Collegiate Charter School, is founded by Boston native Steven Wilson who is also the president and founder of a Charter Management Organization (CMO) called Ascend, based in Brooklyn. Ascend licenses their educational materials from Sabis Educational Systems, which originated in Beirut, Lebanon and conducts US operations out of Eden Prairie, MN. Clearly, this school will have deep roots in Paterson. Both Wilson and Sabis have had long histories of failure running charter schools across the country, but of course this is not mentioned in the application to the state. Wilson was removed as CEO of his first for-profit CMO, Advantage, and the chain of charters was bought out by another CMO. His new CMO is set up as a non-profit, so Wilson can take advantage of New Markets tax credits. These tax credits allow Wilson and his investors to make "windfall profits" renovating buildings in low-income urban areas and turning them into charters. Investors can double their money in seven short years. Wilson has to stick to low-income urban neighborhoods to take advantage of the tax credits. He has made it quite clear that this is his intent, and has even gone so far as to assure families in Williamsburg, Brooklyn that he will not move into more "affluent" areas and does not foresee "an influx of white students." Wilson can sell his charter chain as a way to "close the achievement gap" but in reality he's just going where the money is. A former Brooklyn Ascend teacher has spoken out about the "no excuses" school culture at Ascend. It is the "no excuses" culture that is credited with closing the gap. Children are expected to sit with their hands folded on their desks for most of the school day, and are subjected to almost constant test prep exercises from December until May when state tests are given. Ascend recruits a young, Teach for America style teacher corps, and is quite clear that teachers interested in working at Ascend should value "being effective over being creative" and should be "committed to education standards, statewide testing, and accountability." It seems hard to find and retain teachers willing to tow the Ascend line. In the 2010-2011 school year 45% of the charters teachers left the school. But Brooklyn Ascend touts the highest test scores of any other CMO in Brooklyn on the 2012 state tests. Under the Machiavellian, the ends justify the means education regimes in New York and New Jersey, all that counts is higher test scores, not how you get them. And in New Jersey it also doesn't matter whether a community wants a charter. The NJDOE press release about yesterday's approvals may claim that they solicit input from the public, but I have clearly demonstrated that this application sailed through the DOE's review process with little to no community input. In fact, the only Paterson person on the application is a board member of another Paterson charter school with no affiliation with the Paterson public school district. The only community outreach conducted was done by an Ascend "community organizing consultant" and the response from the community was reported to be "indifferent to positive." No community partnerships have been established. There is no mistaking that this is being done TO the people of Paterson, not WITH them. I wish it hadn't been so easy to call this one. Steven Wilson and his CMO Ascend are exactly what Commissioner Cerf is looking for. Ascend will get uniformed minority children to churn out high test scores, and will house them in brand new state of the art facilities. We should just ignore that Ascend will pull funds from the district, and leave them with less resources to handle harder to educate children in deteriorating buildings. But it looks like the folks in Paterson see what's happening here. In yesterday's Alternative Press, reporter Joe Malinconico spoke to Paterson board member Dr. Jonathan Hodges. “They won’t try to pull this stuff in the suburbs, but they want to decimate the public schools in the inner cities,’’ said Board of Education member Jonathan Hodges. Yup, sounds about right. My good friend Jersey Jazzman took this idea one step further. That is exactly the plan right now: expand privatization in the areas where Chris Christie knows he won't win votes, while preserving public schools and local control in his suburban, Republican base. Which is why Riverbank Charter School out in leafy Florence lost its bid for expansion while the NJDOE shoves two new charters down the throats of the people of Paterson. The NJDOE only gets away with this nonsense when they do it completely under the radar. So much of the NJDOE's charter agenda simply does not stand up to any amount of scrutiny. And when their approvals are scrutinized, they are often shown to be arbitrary, self serving, and not based on the actual merits of the application. Think Regis Academy. ...the head of the Collegiate school was someone who came from the private school management company that Cerf once had been in charge of. Hodges said the apparent connect may have helped Collegiate’s application. “It raises some questions as to how they got approval." It sure does Dr. Hodges, it sure does. So let's go get those answers, shall we? This is the final post in a four part series about the Paterson Collegiate Charter School Application. In Part III we explored how lead founder Steven Wilson figured out how to exploit New Markets tax credits to build a charter empire. Today we will look at the program Wilson is offering the people of Paterson, in exchange for the public funds he will receive. ...the proposed school will be co-founded with a stalwart community leader of the selected school district who is also a parent and teacher. Carol D. Burt-Miller, co-founder and lead teacher of Love KidsCare II, an accredited preschool center in Paterson, New Jersey, represents the interests of parents, teachers, and community members. Let's look at the parent part first. While the application says Burt-Miller resides in the Paterson School District, a quick google search revealed that she is a parent member of the Paterson Charter School for Science and Technology Board of Trustees. No where is this fact mentioned in the application, not even on her resume. You'd think this would be relevant information, so why are they hiding it? Last time I checked, charter schools are not a part of the district schools. So how about the teacher part? Burt-Miller is a pre-school teacher, she is NOT a teacher in the Paterson school district, or even in an elementary school. Well then she must at least fit the bill as a "stalwart community leader." But according to page 168 of the Phase Two application Burt-Miller is falling short on this too. To inform stakeholders in the Paterson District about the proposed school, Hannah Njoku, Ascend Learning’s community organizing consultant, led a preliminary outreach effort to speak to parents and the community about the proposed charter school. On July 9, 2012, Njoku spent a full day in the district visiting multiple day care centers (Friendship Corner Day Care, Boys and Girls Club, and Dorothy’s Little Tots), an after-school program center (Paterson Community Gymnasium), and a church (Saint Joseph Catholic Church). On July 12, 2012, Njoku spent another fully in the school district, visiting four more day care centers: the YMCA, El Mundo Del Nino, Passaic County Community College Child Care Center, and Saint Joseph’s Child Care. If Burt-Miller is such a "stalwart community leader" why has a paid "community organizing consultant" been brought into Paterson? And why has she not worked to create even a single community partnership? No doubt, Burt-Miller is on the application in name only. A mere formality to get through the application process. A placeholder. My guess is she will have little to no affiliation with the charter once approved. This is Wilson's show, and his show alone. No preschool teacher from Paterson is going to have ANY impact on his charter. Not only has Wilson figured out how to finance his charters, he's also figured out what kinds of teachers and students will get him the results he needs to keep his operation afloat and expanding. Teachers hired at an Ascend charter are a very select bunch. Wilson is a real fan of the Teach for America model, but realizes that this limited talent pool is a possible stumbling block. But the reach of the "no excuses" model will be sharply constrained by the limited availability of human capital on which it appears to rely. To bring the model to scale will require one or both of two measures: a dramatic expansion in the number of elite college graduates who teach (if only for a few years) in urban public schools, or the widespread deployment of educational systems that enable a more broadly available workforce to educate students to a high standard. Both paths--expanding the pool of top-notch candidates and making the job of teaching more manageable--should be vigorously pursued. Legislative action should be taken to encourage highly educated students to go into teaching, especially in urban and rural schools. Certification requirements that mandate education school courses should be dropped and starting teacher pay increased. So Wilson is crystal clear that he is looking to recruit a young, highly educated teacher corps. But you know what else he wants that seems a bit paradoxical? That his teachers don't think for themselves. Here are the "Skill/Traits" Ascend is looking for in applicants for an immediately available teaching position. One Ascend teacher didn't buy into the program and dared to think for herself. She wasn't afraid to speak out either, and told her story to Jim Horn at Schools Matter. Little do parents know what goes in these corporate madrassa hellholes, and little did anyone else know until a former teacher stepped forward to call a spade a spade. Her name is Emily Kennedy, and it wasn't until she read the "tremendously disturbing" book by Ascend's founder, Stephen Wilson, entitled "Learning on the Job: When Business Takes on Public Education," that her unsettled feeling about the goings-on at Brooklyn Ascend began to come into sharp focus. In Emily's initial email to me, she said that "my experience at Brooklyn Ascend has been nothing less than depressing, demoralizing, and at times even shockingly upsetting." Here's part of Emily's account. You can read everything she had to say about her experiences at Brooklyn Ascend here and here. They're very eye opening. Our students, whom we were required to refer to as "scholars," were required to remain silent and sit with their hands folded in front of them for virtually the entire day. There was close to zero peer interaction at any time, and we were not allowed to plan any hands-on or inquiry-based learning activities at all (activities that are meant to spur curiosity, for example, and foster critical thinking skills). Beginning in December, we were required to teach only test-prep lessons - which were mostly scripted by supervisors, and mostly focused on tricks they could use to get "right answers," rather than developing genuine forms understanding - until the state test, which was in May. The more kids Wilson gets to ace the test, the more charters he gets to open. It's just that simple. Getting low-income urban kids to produce high test scores is the golden ticket for the unlimited expansion of Wilson's chain of chartery goodness. For any potential new families, the school director will hold a small-group orientation session to familiarize the parents with all aspects of the school culture of the school, from punctuality to daily homework assignments. After the presentation the school director will emphasize the parents' freedom of choice when choosing a school for one's child and suggest that they carefully consider the culture fit prior to making a final decision. This is nothing more than a carefully worded description of how Ascend counsels students out before they even enroll. Wilson is truly a diabolic genius. He seems to have figured out a way to keep his attrition rates low by scaring off parents who know their kids will never be able to sit silently for hours a day with their hands clasped before them on their desk. The tight grip Ascend has on it's teachers and students takes a toll. According to the New York City Report Card, Brooklyn Ascend, where Emily taught, had a 45% teacher turnover rate in the 2010-2011 school year. Looks like Emily wasn't the only young teacher that wasn't a big fan of Ascend's practices. And this high turnover rate is despite the relatively high starting salary for teachers at Ascend. Wilson is willing to put up some serious bucks for those who are willing (able?) to tow the line for him, and not surprisingly, this includes merit pay. And Wilson's merit pay system seems to be based EXCLUSIVELY on test scores. If almost half of your teachers leave in any given year, there's little chance of having to pay out much in bonuses. And since most TFA like recruits don't make teaching a career, there won't be very many teachers getting too many of those 3% bumps, which will also help keep teacher costs relatively low despite the high starting salary. And you know where else they save a ton of money? On the number of kids Ascend crams into each classroom. The New York City report card also reveals Ascend's relatively large class size of 27 "scholars" per class. The Paterson application confirms that large classes are an integral part of the Ascend formula. The plan assumes four classes of 28 students each beyond kindergarten. Based on the demonstrated efficacy of the Sabis instructional model and the No Excuses school culture, the founders believe that such relatively large classes will function well in the context of the school design. You ready for THAT New Jersey? If we'll allow it, they'll cram 70 kids into each and every classroom. Imagine how much more that will mean for their bottom line. Sabis has had trouble for years all over the country. There were clashes in the late 90's in Chicago, in Springfield in 2000, in 2002 in Cincinnati, and in Schenectady, NY in 2003 and Greensboro, NC in 2004. Most recently in 2011 Sabis ran into REALLY big trouble in Atlanta at the Peachtree Hope Charter School (PHCS). The list of complaints against Sabis is staggering. E. paid staff $552,000 less than DCSS salary scale for similar positions. H. paid out thousands of dollars in expenses without authorization of PHCS. Ascend is only licensing Sabis's materials for their network of charters; Sabis will have no say in how the Paterson charter is run. But the fact that Ascend has chosen to license the educational system of a company that engages in such practices is quite alarming. And apparently Sabis's materials are not a part of the 9% Ascend management fee. Sabis will get it's own piece of the Paterson Collegiate Charter School pie. According to the Phase Two application budget, Sabis will rake in $150,000 in the first year of operation, and almost $400,000 by the fourth year. This line item includes the "Sabis licensing fee, specialized literacy assessments and other external instructional services" and seems to be yet another budget item that is not negotiable. It must be worth the money though, afterall, look at the testimonials on Sabis's website! It seems to be a forgone conclusion that the Paterson Collegiate Academy Charter application will get the green light later today. Lead Founder and Ascend president Steven Wilson embodies everything the current New Jersey Department of Education is looking for in a charter school operator. The NJDOE has given up on the idea of allowing educators to open charter schools, they are looking for entrepreneurs with successful business models, and Wilson fits the bill. Before the charter has even been approved the NJDOE is considering giving Wilson a planning grant to bring Ascend to New Jersey. In the round he was eligible for, his grant application is the only one being considered to receive funds. Wilson may brag that he doesn't rely on philanthropy, but looks like he's not above taking all the tax dollars he can get his hands on. The state has been running Paterson schools for 21 years, and while there are attempts to get out from under state control, it's doubtful the state will release it's grip anytime soon. And while the NJDOE is still in control of Paterson's schools, they're going to cram in as many charters and as much reformy nonsense like merit pay as quickly as they can. It's my hope that this four part analysis of the Paterson Collegiate Charter Application forces the people of New Jersey to wake up. This is not an educational model I would want for my kids, is it one you would want for yours? If not, please help the people of Paterson stand up to the NJDOE. The NJDOE should not have the right to force charters like this onto unsuspecting communities. Charters like Ascend will never serve ALL kids. They will serve the kids that can get the results that Wilson needs to expand his charter empire. And the rest of the kids will be left with less resources in the traditional public schools, stuck in dilapidated buildings, while Ascend kids get brand new state of the art facilities in exchange for all the testing and test prep they can stomach. This is Part III of a four part series about the Paterson Collegiate Charter School Application. Part I was about the current state of the New Jersey Department of Education charter application process, and Part II was about Stephen F. Wilson, the lead founder of the charter and also conveniently the founder and president of Ascend Learning, the proposed Charter Management Organization. Back in July when I wrote about Benjamin Rayer and the approval of his two hybrid charters I noted that he too was both the lead applicant and CEO of the CMO. Looks like this may be a new trend among the applicants Commissioner Cerf is favoring these days, eh? The Paterson Collegiate Charter School Phase One Application is clear that "if selected in the RFP process" Ascend will take a 9% management fee and basically, run the show. (page 28 of 95). Just try to stifle your laughter at the idea that another CMO might come out on top in that Request For Proposal (RFP) process. "designing, selecting, acquiring, and implementing the school's educational program, including but not limited to the school's curriculum and pedagogy" and "recruiting, recommending, and training the school director, and assisting the school director with selecting, reviewing, managing, and terminating all other school personel." A look at the budget required as part of the Phase Two application (page 243 of 248) reveals that 17% of the total revenue has been allocated to facilities rent. This line item balloons from $395,503 in the first year of operation to $1,022,338 after four years. The year four amount represents $85,000 a month in rent. Two potential facilities are identified in the application; 404 Grand Street and 297 Getty Avenue. Both are industrial warehouses and look like they're going to need a pretty big influx of cash to turn them into schools. There is a reason Wilson switched his business model from for-profit (Advantage) to non-profit (Ascend), and it's not because he saw the light and now he's all about helping kids. He figured out where the money is, and you have to be a non-profit to get at it. The money is in New Markets tax credits, and to get 'em you have to be non-profit, and you have to open charters in low-income urban areas. Juan Gonzalez figured this scam out three years ago. Wealthy investors and major banks have been making windfall profits by using a little-known federal tax break to finance new charter-school construction. The program, the New Markets Tax Credit, is so lucrative that a lender who uses it can almost double his money in seven years. In Albany, which boasts the state's highest percentage of charter school enrollments, a nonprofit called the Brighter Choice Foundation has employed the New Markets Tax Credit to arrange private financing for five of the city's nine charter schools. But many of those same schools are now straining to pay escalating rents, which are going toward the debt service that Brighter Choice incurred during construction. The Henry Johnson Charter School, for example, saw the rent for its 31,000-square-foot building skyrocket from $170,000 in 2008 to $560,000 last year. The Albany Community School's rent jumped from $195,000 to $350,000. Well, with that 17% built right into their budget Ascend certainly could accommodate these kinds of jumps in rent, and still have plenty left over. And did you catch the big part? DOUBLE their money in only seven years. That's pretty astounding. Lots of things point to the fact that this is indeed how Wilson and his investors are making their "windfall profits." We've already uncovered that his two potential facilities are industrial warehouses, so clearly there will be some significant construction happening. And remember, the problem with his for-profit was needing to grow to scale fast enough to bring in enough money to cover costs. But if the money is coming in from both management fees and facilities, and you've got investors who are all too happy to get in on the action, there's much less pressure to grow so fast. The Ascend website acknowledges that they have figured out the CMO secret sauce, they just don't say exactly what's in it. You don't have to do much digging into the deals behind Ascend facilities in Brooklyn to figure out the secret sauce is indeed the New Markets tax credits used to purchase the facilities. Here's the fancy digs the Brownsville Ascend "scholars" call home. A New York Times article about the project pulls it all together. 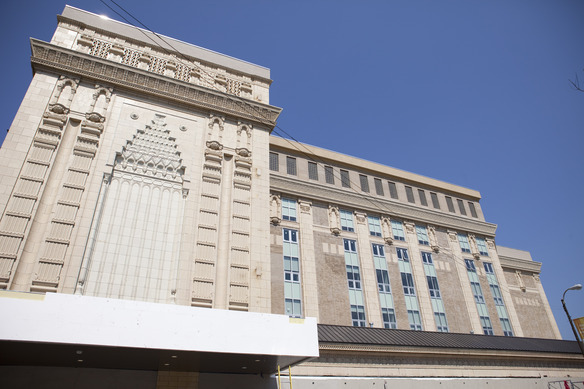 Instead of bond financing, the developers are taking advantage of the federal New Markets tax credits program by working with investment funds that specialize in low-income communities. These funds were selected to receive allocations of tax credits by the Treasury Department through a competitive process. For the Pitkin project, Poko and its financial partner, Goldman Sachs, joined forces with five such funds: Seedco Financial Services, Nonprofit Finance Fund, Jonathan Rose Companies and its subsidiary Rose Urban Green Fund, and Carver Community Development Corporation. Goldman made its $13 million equity investment through these funds and in return received credits that can be used to offset federal income taxes. Goldman, along with the Nonprofit Finance Fund and Seedco, also provided $23 million in debt. As Gonzalez revealed, these investors stand to double their money in seven years, and Ascend's budget allocates more than enough money to "facilities rent" to not fall into the same trap as the Albany charters Gonzalez profiled. It's certainly telling that Ascend recently hired a Chief Real Estate Officer, responsible for "the development of facilities for schools in the Ascend Learning network, including identifying candidate sites, negotiating leases with developers, securing financing, partnering with Ascend’s architects, and overseeing construction." There is no doubt that the acquisition and development of real estate is integral to the future success of Ascend. So while the majority of urban school children in New Jersey's low-income urban areas are forced to attend dilapidated schools because under Governor Christie the School Development Authority has come to a grinding halt, a handful of students in Paterson may get access to a privately financed, newly constructed, state of the art facility. Ascend can't REALLY just be going where the New Markets tax credits are, can they? Wilson recently assured nervous parents in Williamsburg that he is not coming for affluent urban white students. I think we can take Wilson at his word that he won't try to enroll "white students" in Williamsburg. But not because he's worried about riling the parents in that community like Eva Moskowitz did with her Success Academy, but rather because the tax credits his plan relies on are only available in low-income areas. Therefore, Wilson's widgets "scholars" will most likely be low-income minority kids. Because Ascend and the schools it manages are self-sustaining (they do not rely on large and continuing grants from foundations), the network’s reach can be expanded without limit. A charter chain without Walton, Gates, or Broad funding? Not that my friends IS innovative! Seems to me that after years of trial and error with the lives of thousands of children, Steven Wilson is quite confident that he has stumbled onto a foolproof plan to turn urban education into a lucrative business. And now, with the help of Commissioner Cerf, odds are he'll be bringing that business to Paterson, just as soon as he can turn one of those warehouses into a gleaming testament of his business acumen charter school. In the fourth and final part of this series we will look at the educational program Wilson is pitching for Ascend "scholars" should his Paterson application be approved. There are some tangible reasons the Ascend program "costs much less to operate." Once you learn about Wilson's proposal, you can decide whether you think this is a program that SHOULD be expanded without limit.